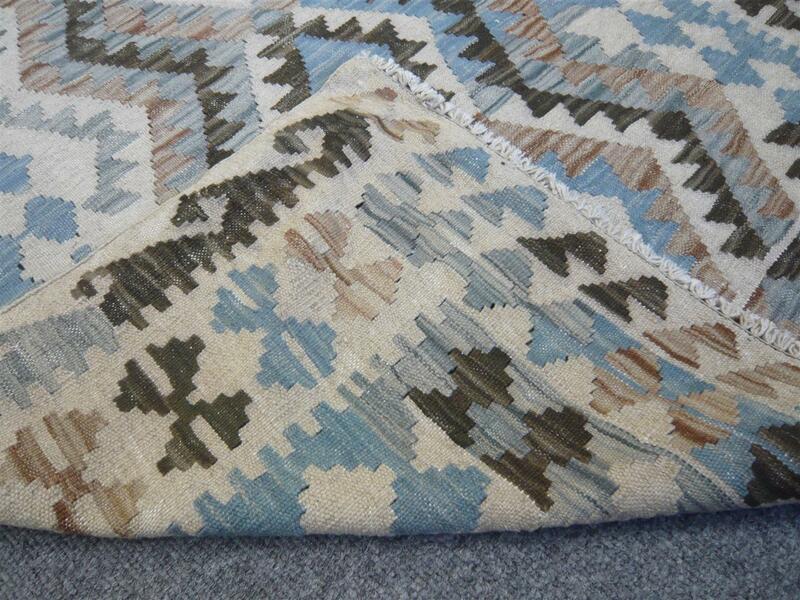 These Kilims are handwoven in the border areas of Pakistan and Afghanistan. 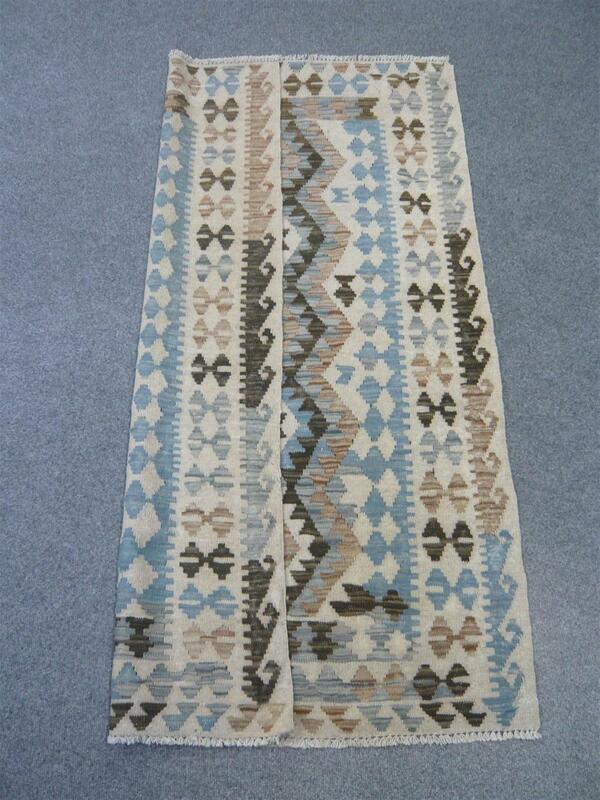 They feature a high quality wool and are much more finely woven than most of the kelim types we usually see. 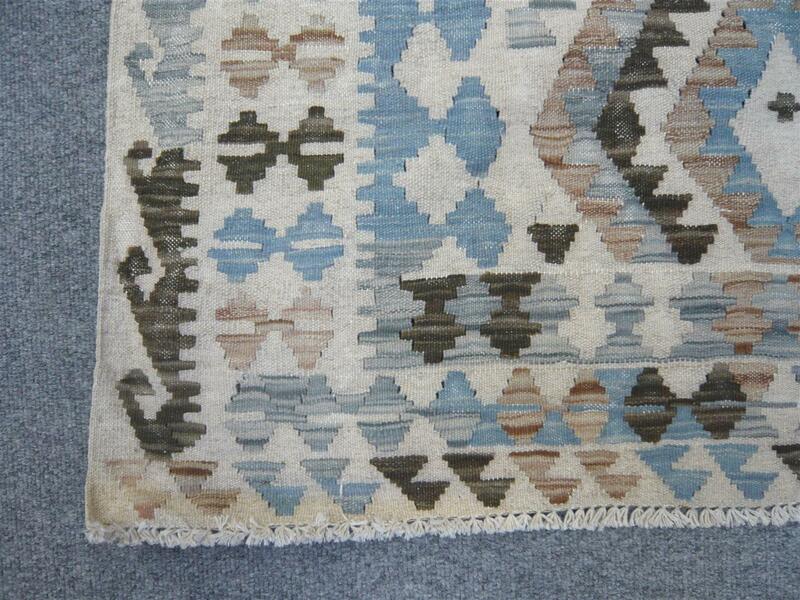 Colours are bright and cheerful and are derived from natural dyes. Batches of wool are tied together prior to being dyed, almost like the tie and die methods for dying clothes and tee shirts in the 1960's. 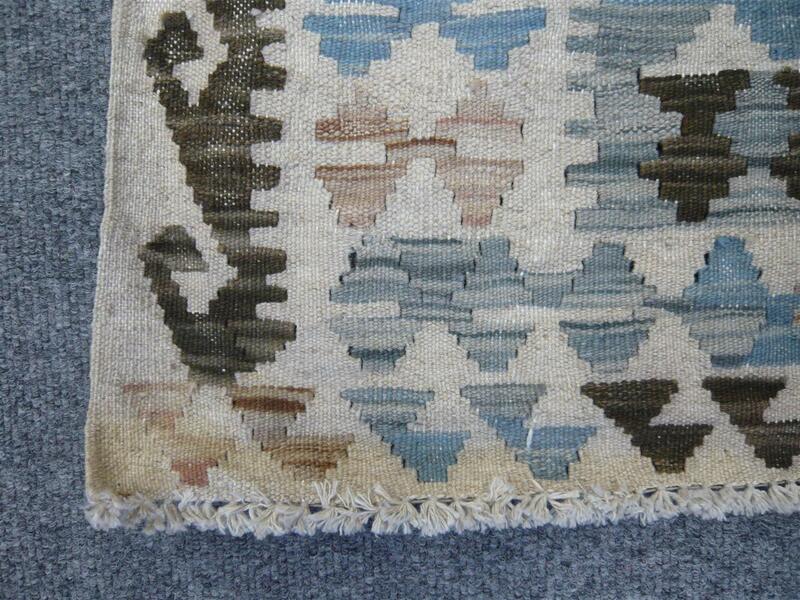 This gives rise to the colours in the kilim being 'broken' or variegated, as well as quite mellow and muted due to the nature of the dye matter. 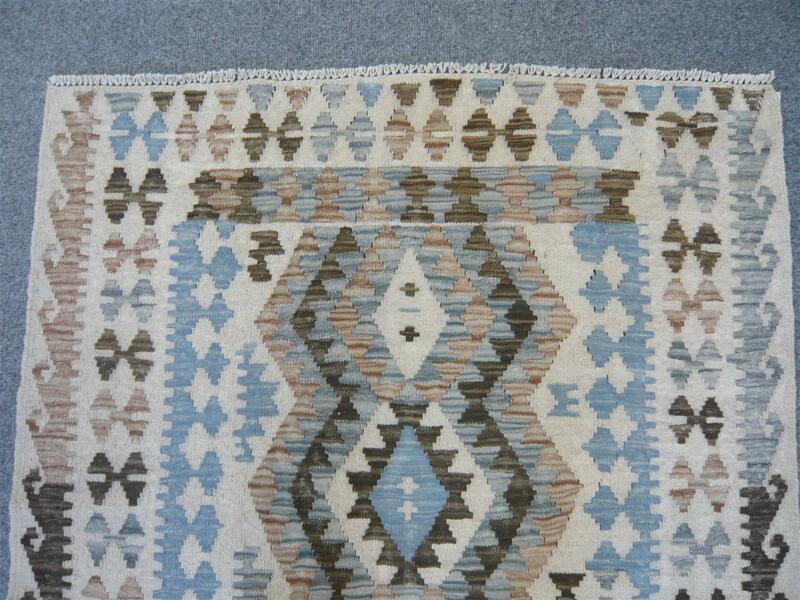 As with all our handwoven kilims these pieces are completely reversible - see photos. 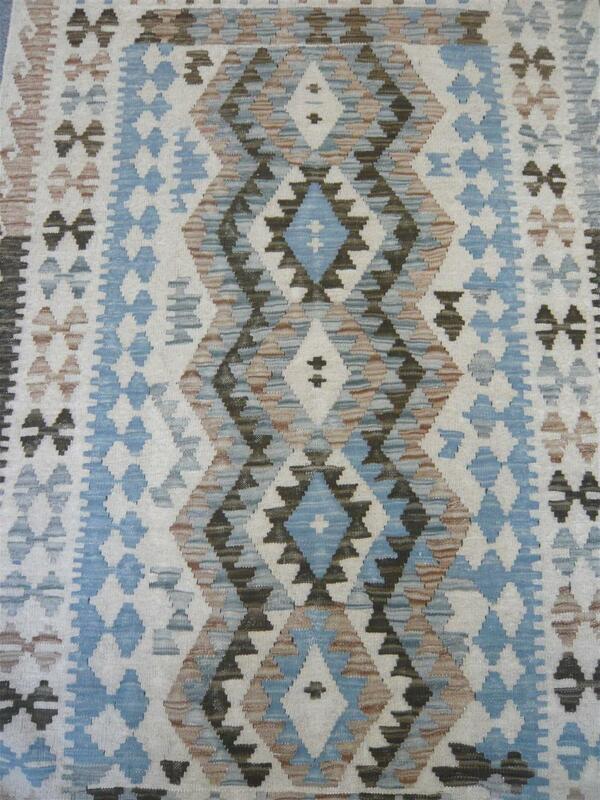 We have Kilims of various sizes/colour combinations & designs always in stock. 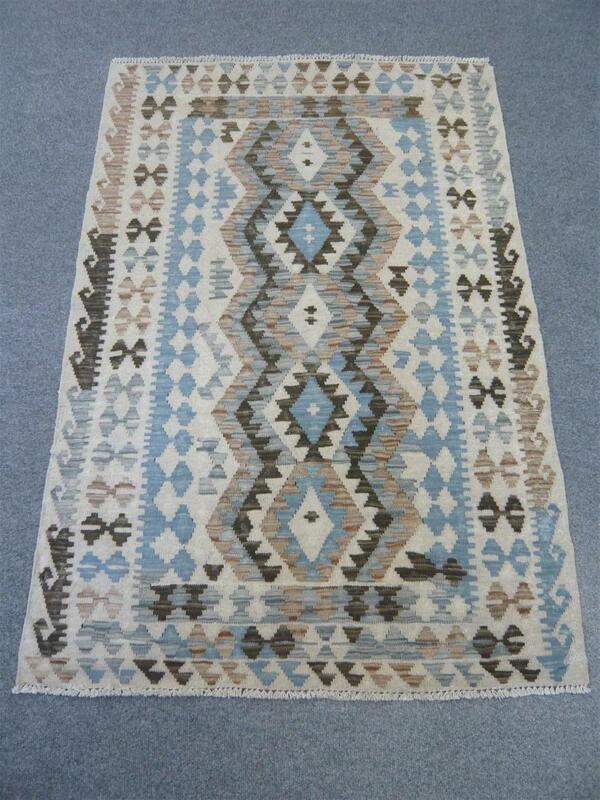 This wool kilim measures 4 feet 10 inches long by 3 feet wide. 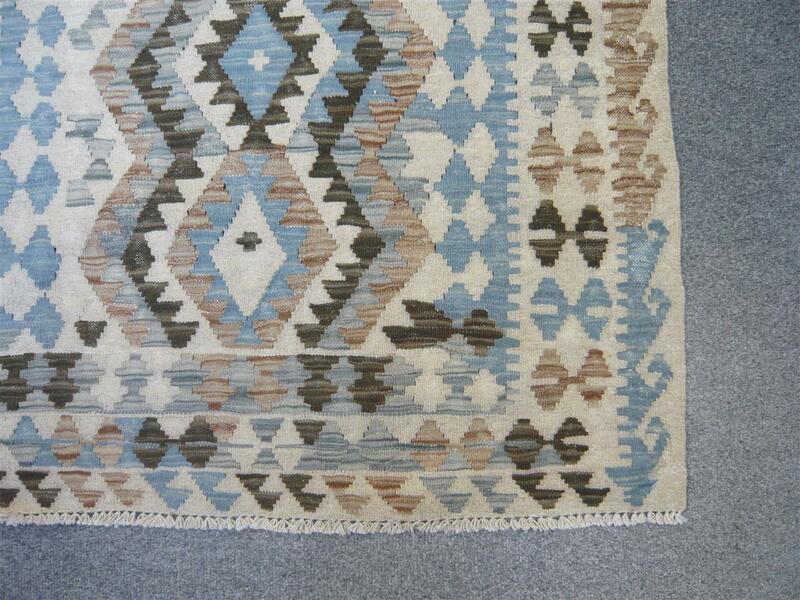 ( 1.48 x 0.99 metres ).